Sleeps six. Two bedrooms with loft with full size bed. 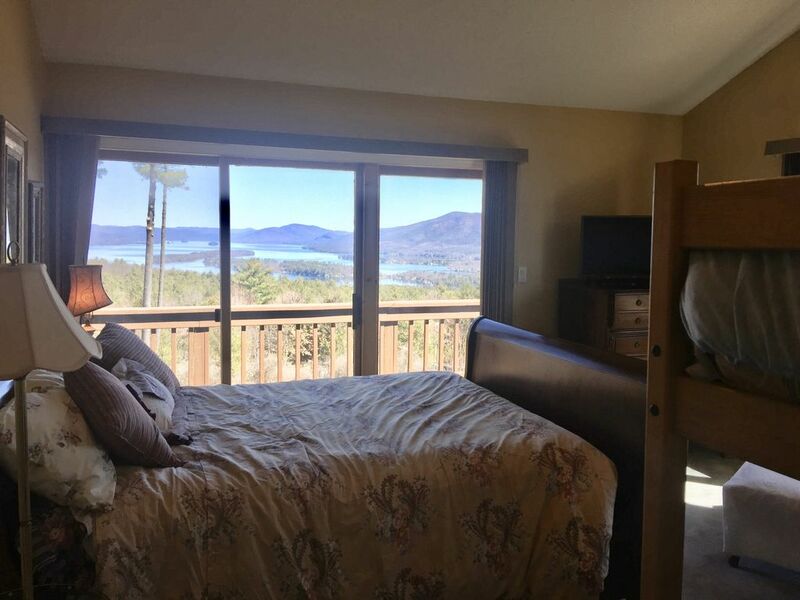 Beautiful Lake George views. Two decks. Indoor pool, outdoor pool, gym, tennis, golf course and restaurant on site. 30 miles from Saratoga reach track. Golf fees not included. Beautiful wood burning fireplace. Close to Gore and west mountains. One room has queen bed and bunk beds. One room has a king bed(first floor). Loft has full and fooseball table.